lastbilar och Vans där tjock mineralolja efterfrågas. 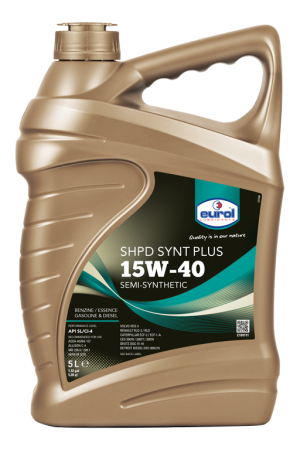 Eurol Bediga 20W-50 is an engine oil providing an optimum lubrication for older passenger cars and light loaded commercial vehicles equipped with gasoline, LPG and diesel engines. 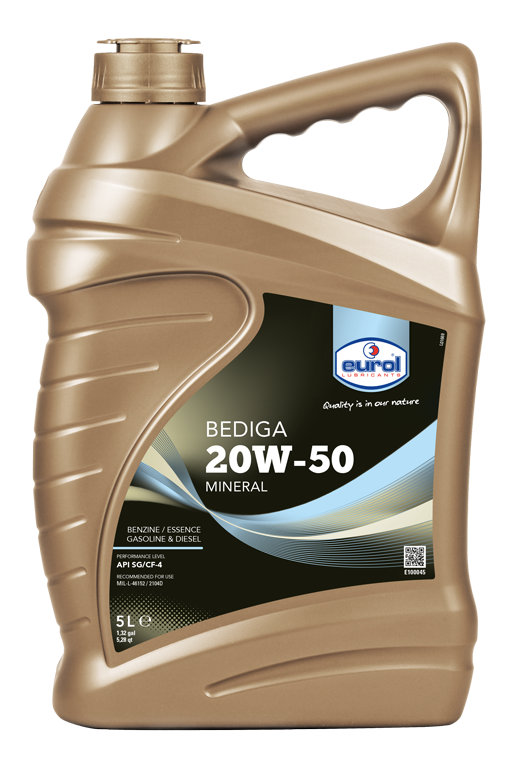 Eurol Bediga 20W-50 is suitable for turbo charged engines, multi-valve technology and engines with catalytic converters. 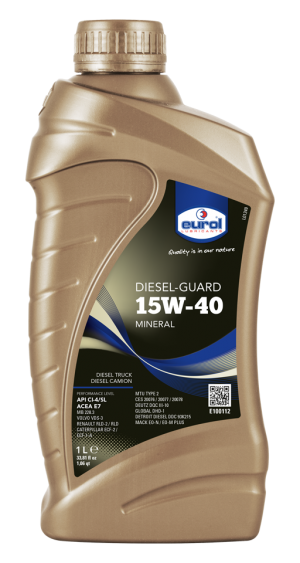 Eurol Bediga 20W-50 offers excellent wear protection to all engine parts. These parts will also be protected against rust and corrosion. Special deterging additives keep rust particles and soot in dispersion. Eurol Bediga 20W-50 also contains special additives to prevent from oil thickening caused by oxidation at high temperatures. Due to the use of shear stable viscosity index improvers the viscosity will stay in grade, so that also during long drain interval terms, Euro Bediga 20W-50 will continue to provide a strong lubricant film between the moving parts of the engine.